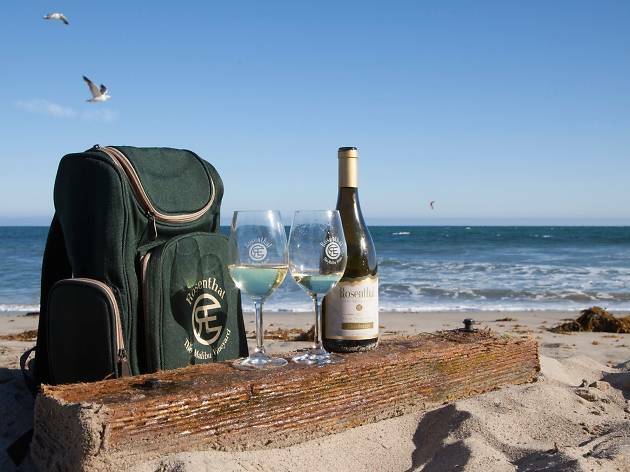 It’s only fitting for a winery offering Malibu grown vino to have a stellar ocean view. In fact, it’s almost expected. One step inside Rosenthal’s Winery is an idyllic escape from LA’s fast-paced vibes (and makes you forget the PCH congestion you endured to get there). 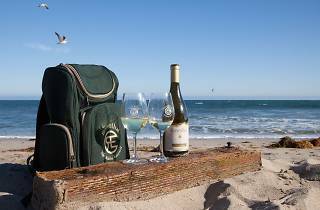 Boasting beachside views, coastal breezes, and a relaxing outdoor seating area, this casual wine hub is the perfect spot for a weekend tasting with the gang. Live beachy tunes often permeate the courtyard from live local bands, along with a nearby food truck to fuel your next glass. Some friends have a membership here and I've been with them several times to pick up their wine shipment and relax on the lawn for a drink. This place isn't as lush and fancy as Malibu wines, but it is still a nice place to get away from LA proper and hang near the ocean with a drink. The staff is always friendly and welcoming, and the wines are excellent for the price. I've enjoyed several different reds & whites from them. On the weekends as well, I believe they bring out a wine from their "cellar" to include in the tasting flights. If you're heading to Rosenthal, pack up a picnic basket with some cheese and crackers and fruit to enjoy with your wine outside. As you might expect, it can get pretty busy sometimes with a younger and excited-to-drink crowd of birthdays and groups of friends though. Just be prepared for that.